Stocks are mostly lower in midday trading on Wall Street as retailers and car companies lose ground but technology companies edge higher. Stocks are mostly lower in midday trading as retailers and car companies lose ground but technology companies edge higher. Stitch Fix, an online clothing seller, plunged 31 percent Tuesday after its user totals fell short of analysts' forecasts. Pepsi fell 1.2 percent after warning that the strong dollar will hurt its results. Mining companies rose along with the prices of gold and other metals. Newmont Mining rose 2.4 percent. The S&P 500 rose 4 points, or 0.2 percent, to 2,929. The Dow Jones Industrial Average rose 125 points, or 0.5 percent, driven by big gains in a handful of Dow stocks including Boeing. The Nasdaq rose 12 points, or 0.2 percent, to 8,049. Small-company stocks fell broadly. More stocks fell than rose on the New York Stock Exchange. Stocks are opening mostly mixed on Wall Street as losses for consumer-focused companies offset gains elsewhere in the market. Pepsi fell 2.3 percent early Tuesday after the company said the strong dollar will hurt its results more than previously expected. Stitch Fix plunged 24 percent after reporting user totals that missed estimates. The stock of the online clothing seller had almost tripled in value since its IPO last November. The S&P 500 fell 2 points, or 0.1 percent, to 2,922. The Dow Jones Industrial Average was little changed at 26,656. 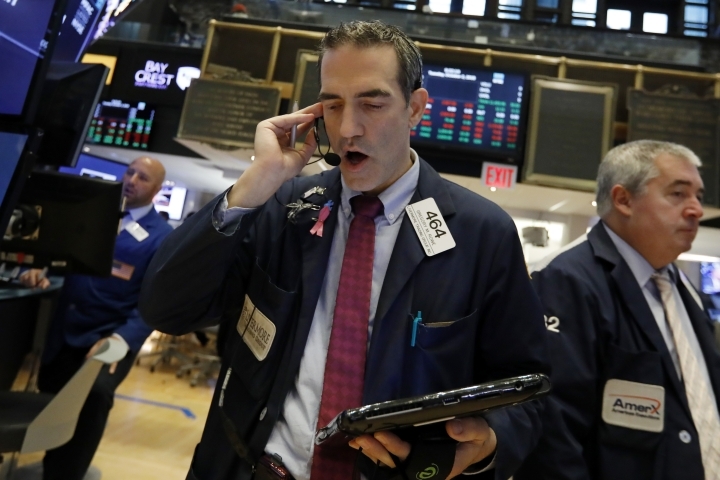 The Nasdaq composite fell 25 points, or 0.3 percent, to 8,011.